Studies have shown that natural light has a positive effect on our health, from improving mental health to increasing productivity. A space that receives a lot of natural sunlight creates a therapeutic environment that can trigger endorphins and enhance concentration and state of mind. Therefore, natural light is an important consideration to factor in when designing your home, particularly in the rooms that you spend a lot of time in. As well as the benefits to your health, natural light brings out the best in any room no matter its interior. Lots of sunlight is immediately inviting and it effectively generates the look of more space. So let’s take a look at the different ways you can maximise natural light in your home and reap all the benefits. 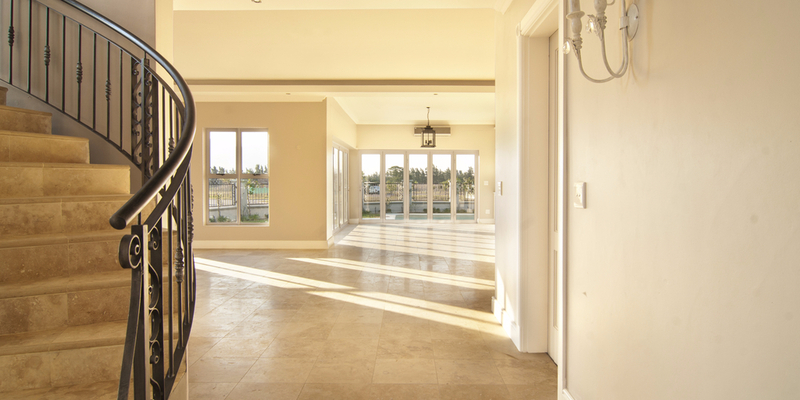 Every room should provide a source of natural light and windows are an obvious solution. In some spaces, like a kitchen at the rear of the house, the light primarily comes from the glass back door which is often not enough. So a popular design solution is to install two windows either side of the door. Aluminium windows are an ideal choice for this as they are strong and durable but also feature a slim framing system. If you are working with a larger room, or a multi storey house, you could choose to install large windows that go from the floor to ceiling. Not only do these look impressive and modern, but they instantly make a room bright and airy letting the sun beam through. The placement of windows is an architectural factor that may or may not have been considered when your house was built. South facing rooms are often desired for the all day light it can receive so these rooms tend to be the kitchen or main living areas. Whilst the UK weather is unpredictable, the direction of light is predictable, so this can help you to optimise the position of new windows. This point might seem obvious but it can often be forgotten in the design process – make sure there is nothing blocking your window view. If the sunlight can’t access your home you will never see it, so ensure that any overgrown plants from the garden are cut down and that the window ledges are kept clear of clutter. Glass doors are as effective as windows when it comes to letting light in and they are increasingly popular thanks to the advancement in design. By replacing traditional solid doors with glass sliding doors you are instantly opening up a room to more light. A popular choice for rooms that open out to the garden are Schuco Bi-folding doors. These doors are popular with architects and homeowners as they transform a standard wall into a glass feature. As well as creating a visual impact, Schuco doors are very secure and are thermally insulating to prevent a room from getting too hot or cold throughout the year. Take a look at some of the Lite Haus projects where bi-folding doors have been installed to see how effective they are. A spacious environment with the right light can be an instant mood changer. Fewer walls in a space means less barriers that could block light. An open plan design merges different spaces together and allows light to filter through the home. This design is particularly effective for rooms that have no or little windows. By opening up a confined space to a room that makes the most of natural light you are eliminating dark spaces in your home and expanding living areas. For examples of how this has been achieved, check out the Lite Haus Pinterest.